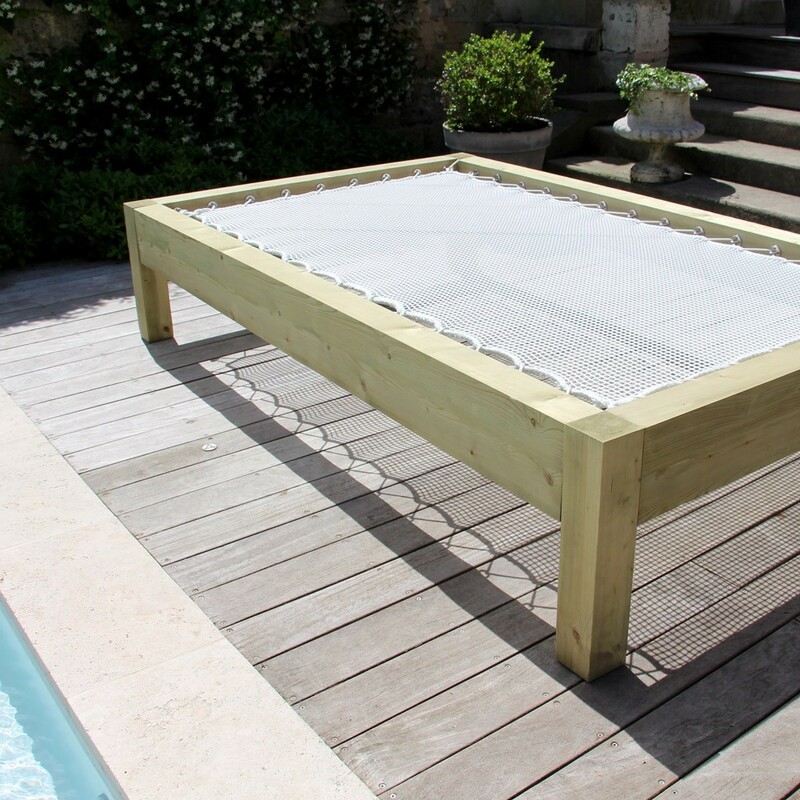 A high-quality, comfortable sunbed for memorable relaxation moments in your garden. 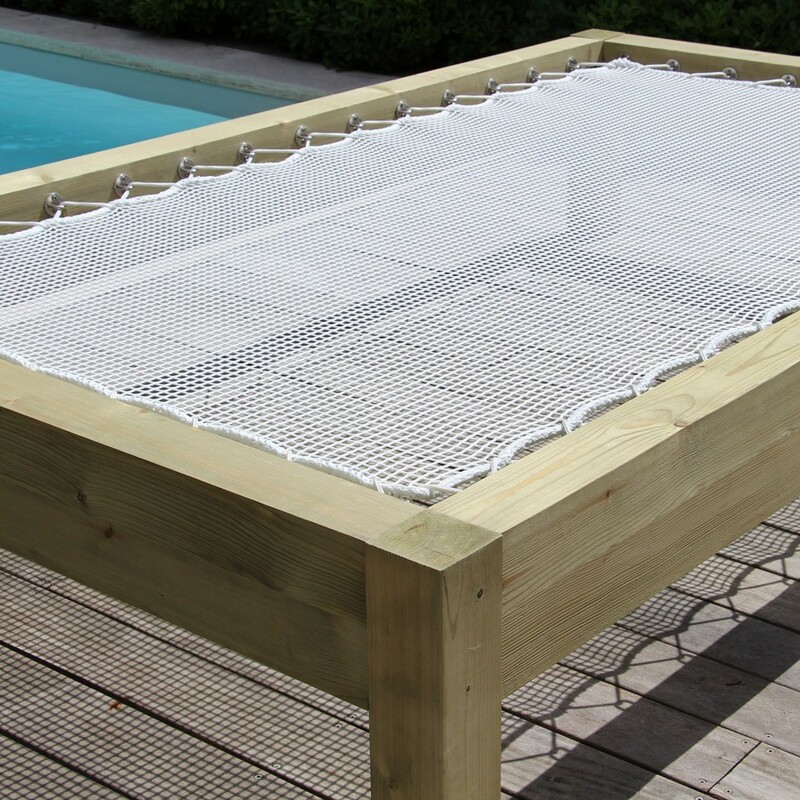 Our Zanzibar sunbed is equipped with a net installed on a wooden support. - The sunbed support measures 2.40 x 1.50 m and stands 50 cm high, leaving you plenty of space for a comfortable nap. 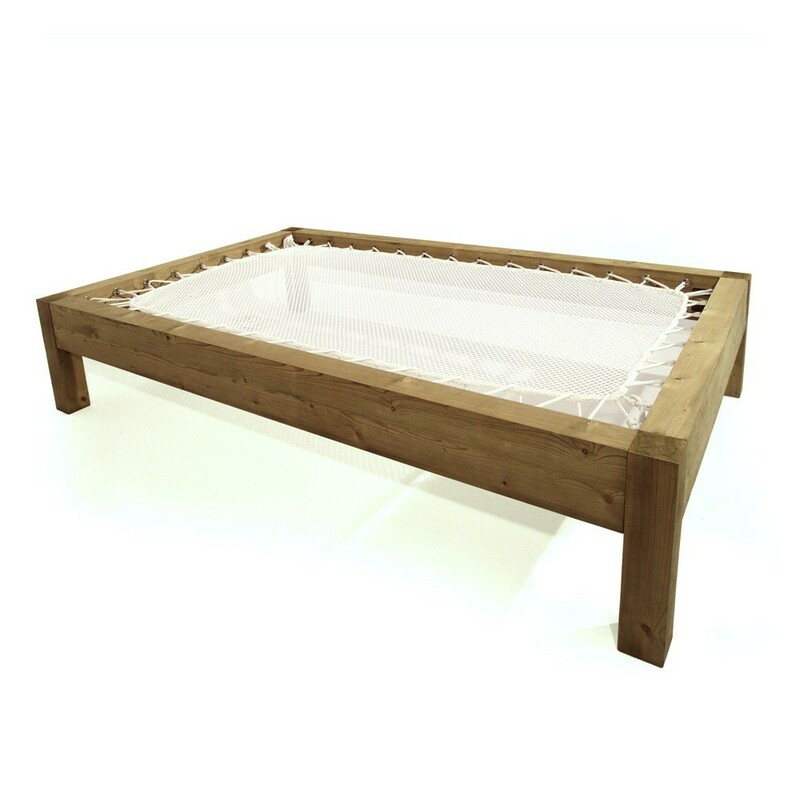 Especially designed for outdoor use, the structure is made with 100 mm wide pine treated beams. You can leave it in the garden in summer like in winter. We just advise you to cover it to avoid decolouration. - The structure is pre-equipped with 44 heavy-duty A4 stainless steel eyehooks, resistant to rust. 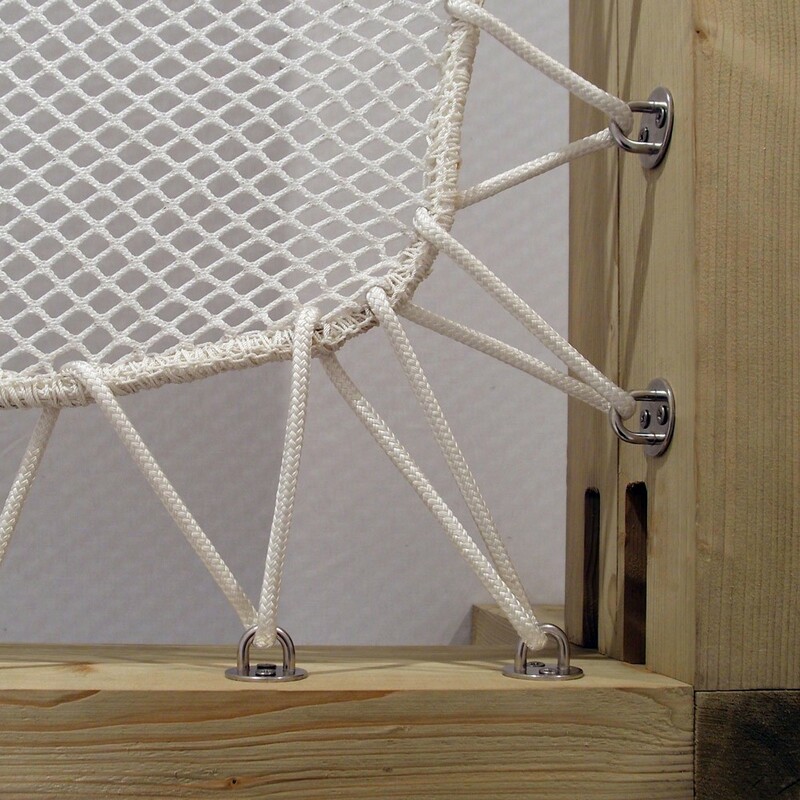 They will allow you to easily fix your net to the structure with the provided tensioning rope. 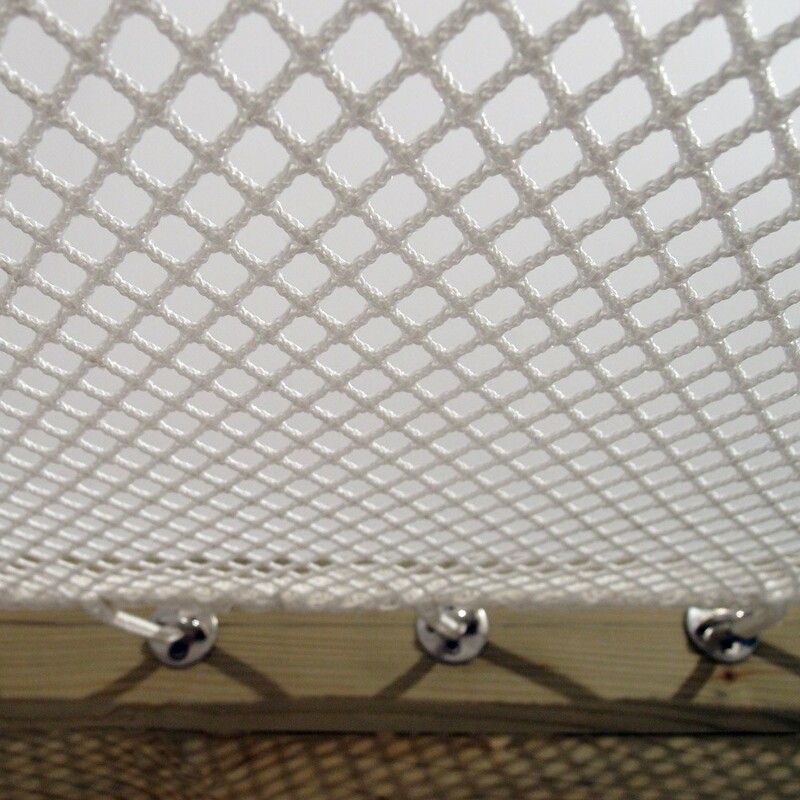 - It is equipped with a white polyester net with 13 mm braided netting. 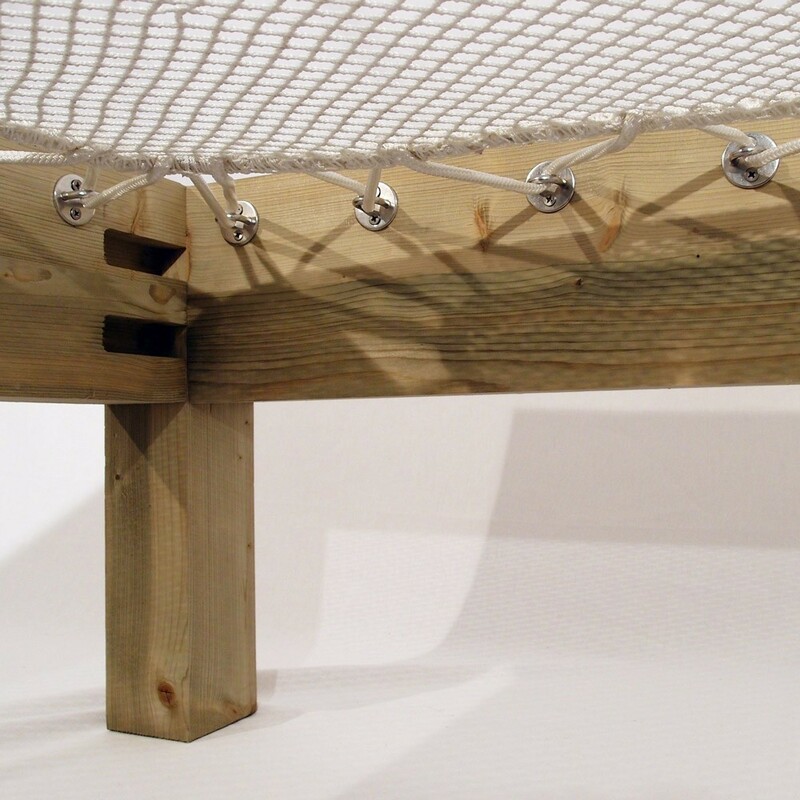 The net measures 2.00 x 1.05 m offering enough space for 1 or 2 people. It is treated against UV-light and will resist to prolonged sun exposition. 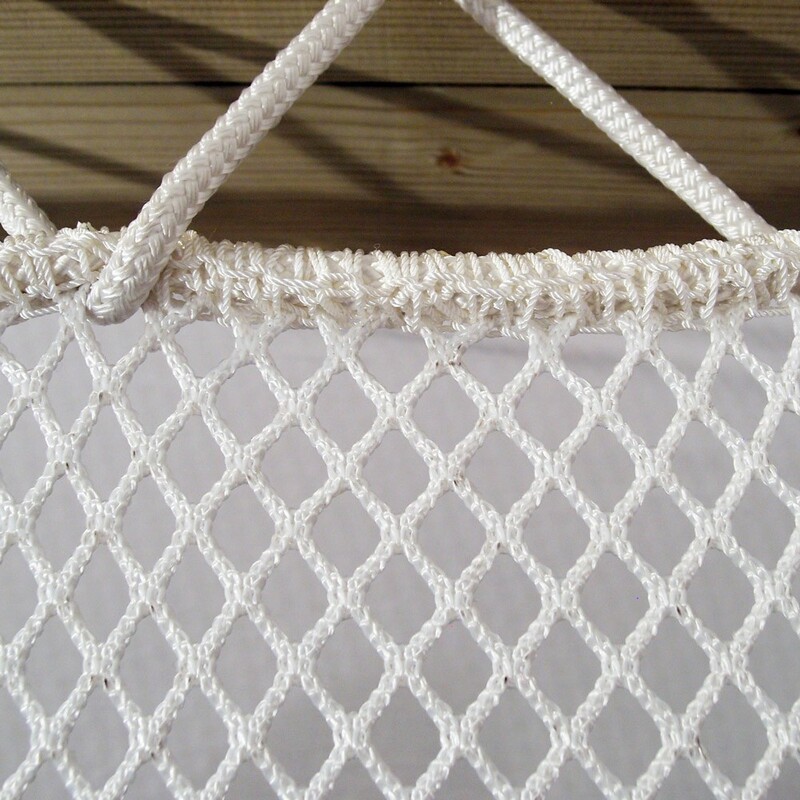 The border of the net is reinforced with a 10mm wide boltrope. 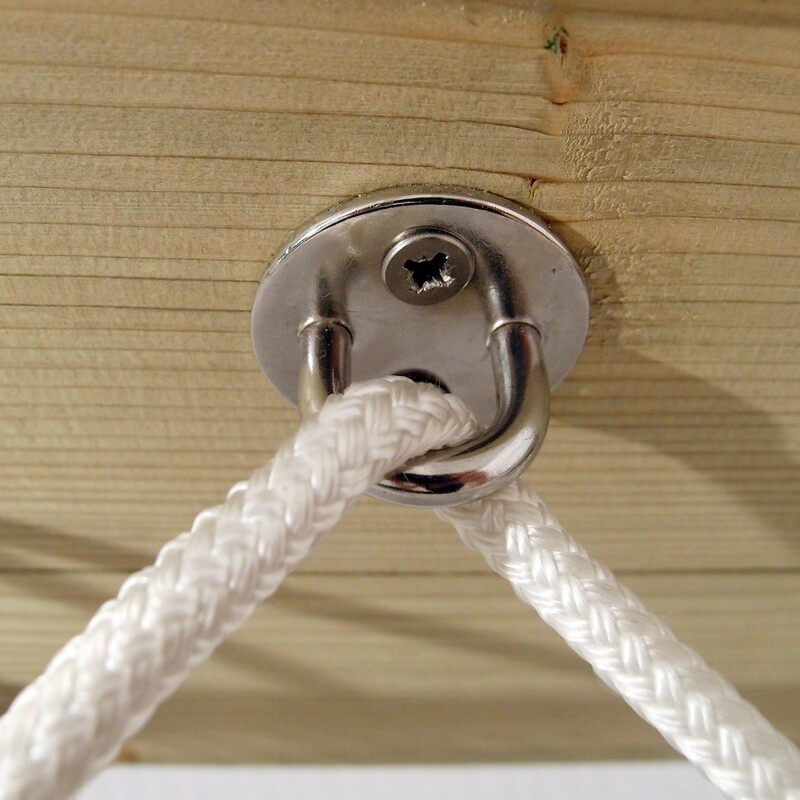 - A white 8mm tensioning rope is provided so you can attach your net to the wooden structure. - An installation guide is provided and will help you through the various steps. Once installed, the sunbed cannot be un-installed. - The sunbed structure can be cleaned with soapy water and a non-metallic brush, if needed. To protect it from pollen or dead-leaves, you can protect it with a cover.